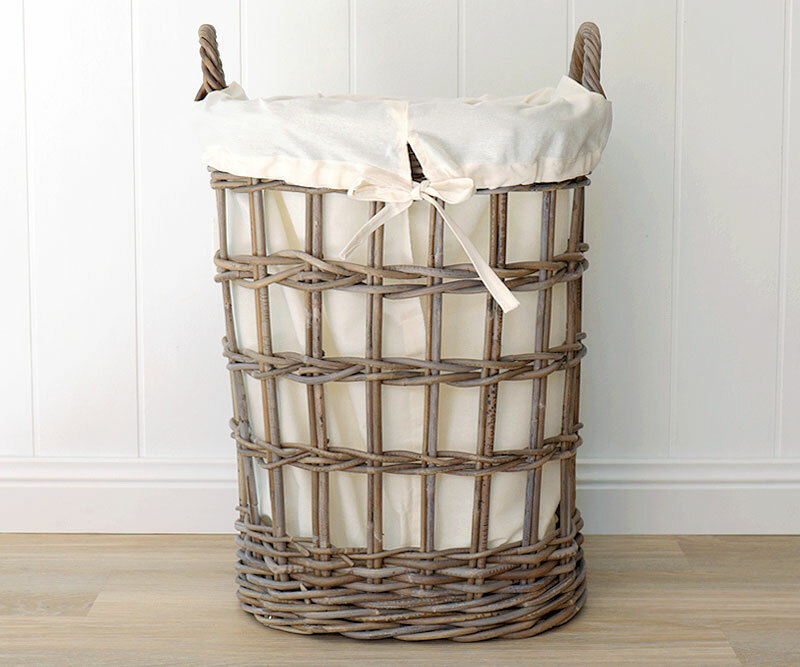 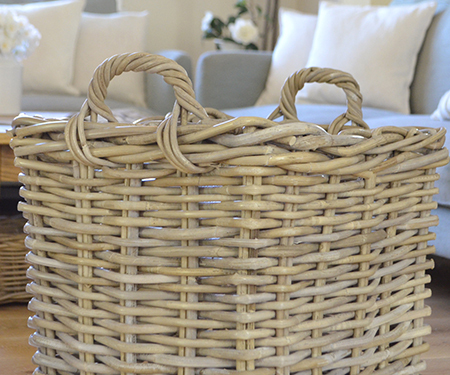 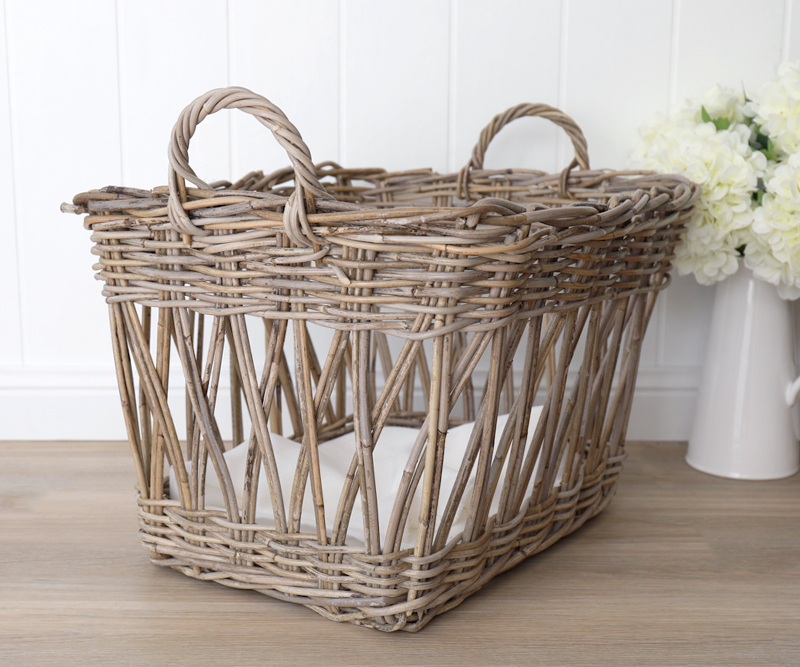 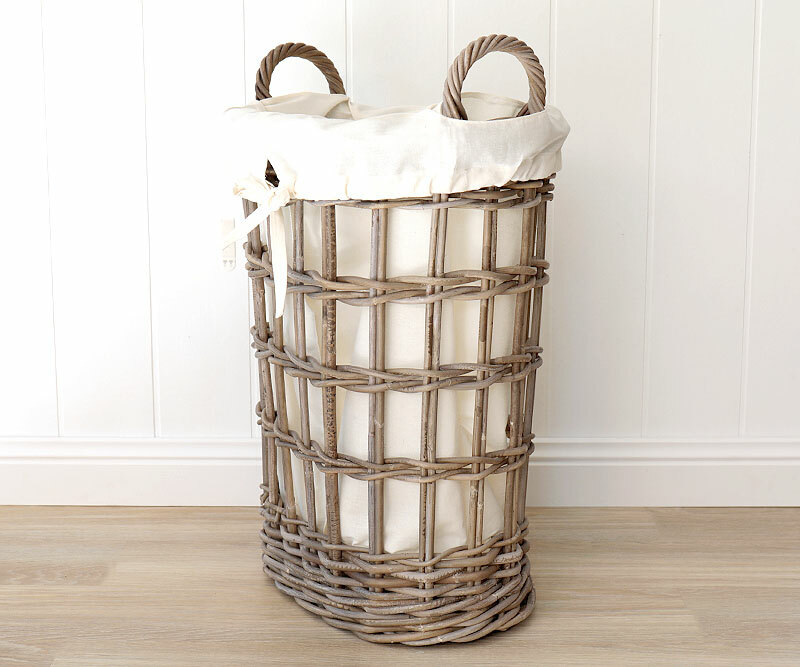 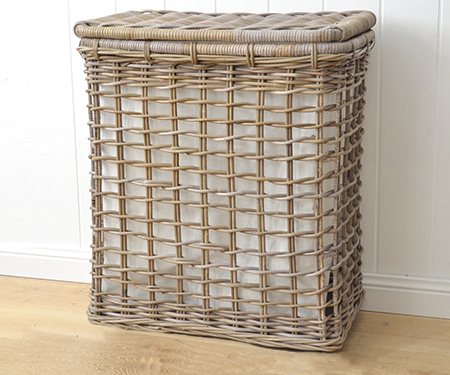 Capturing the beauty of the French countryside, this lovely antique grey cane basket takes your laundry to another place! 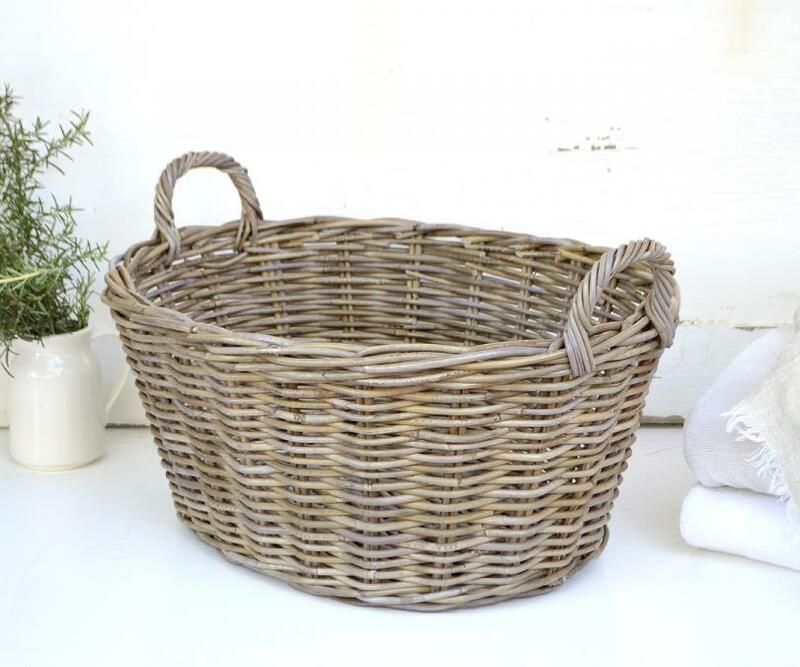 Measures 55cm long, 45cm wide and 35cm high, this has handles at each and and is the perfect size for taking a large load of washing out to the line. 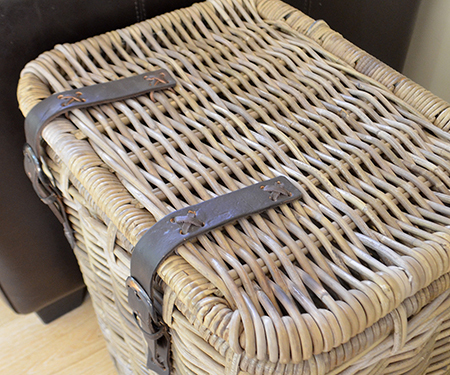 (Measures approx 42cm to top of handles). 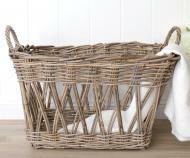 Natural materials have been used down the ages for ordinary household tasks and storage. 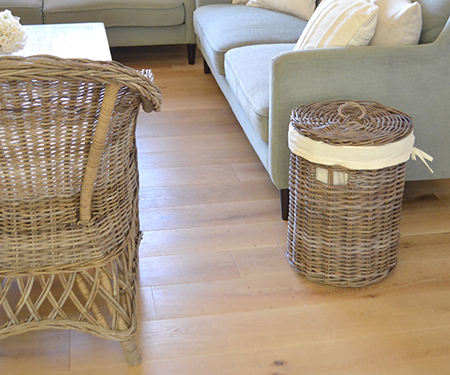 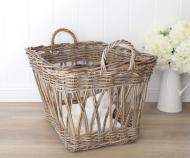 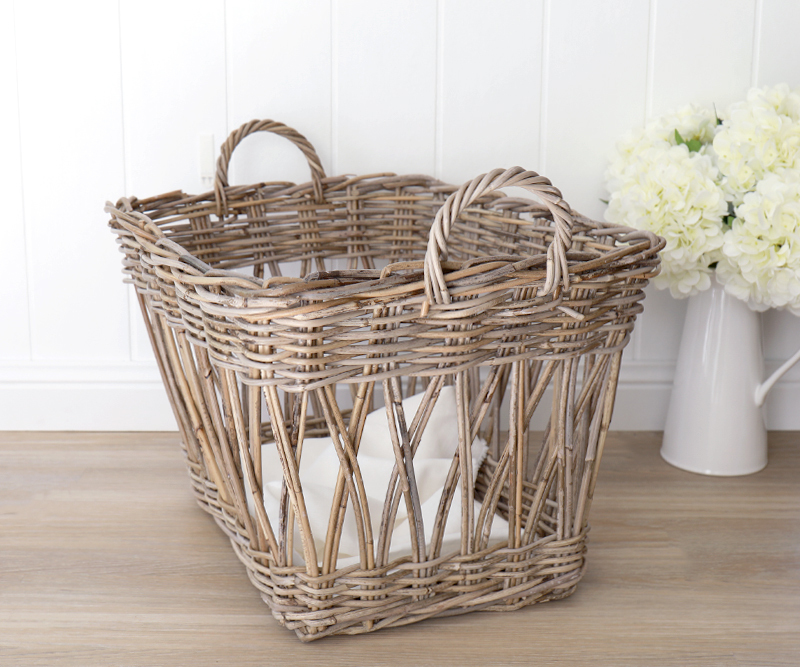 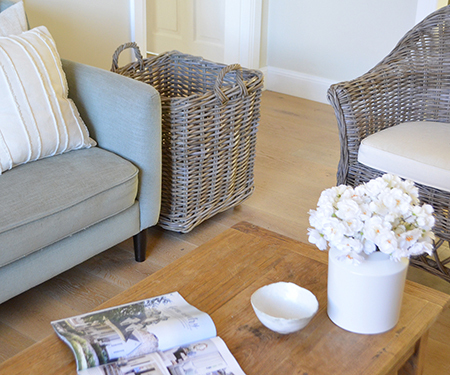 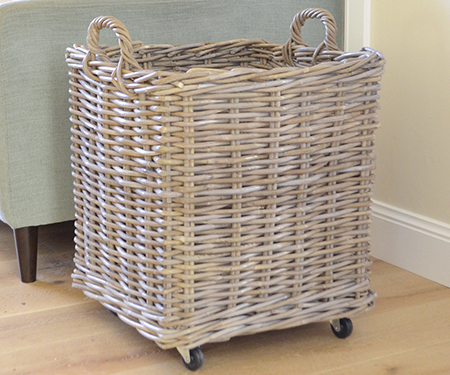 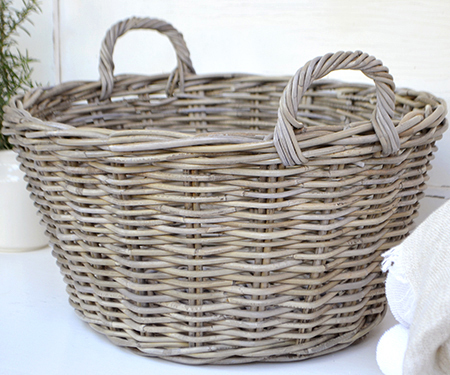 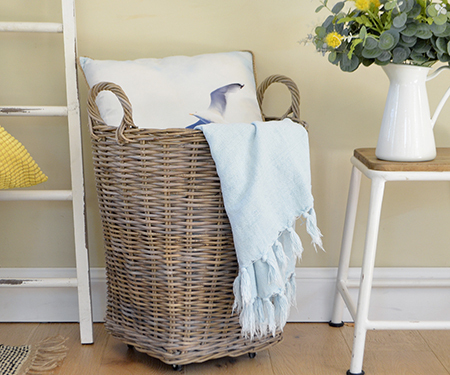 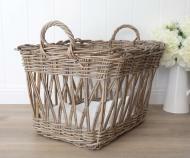 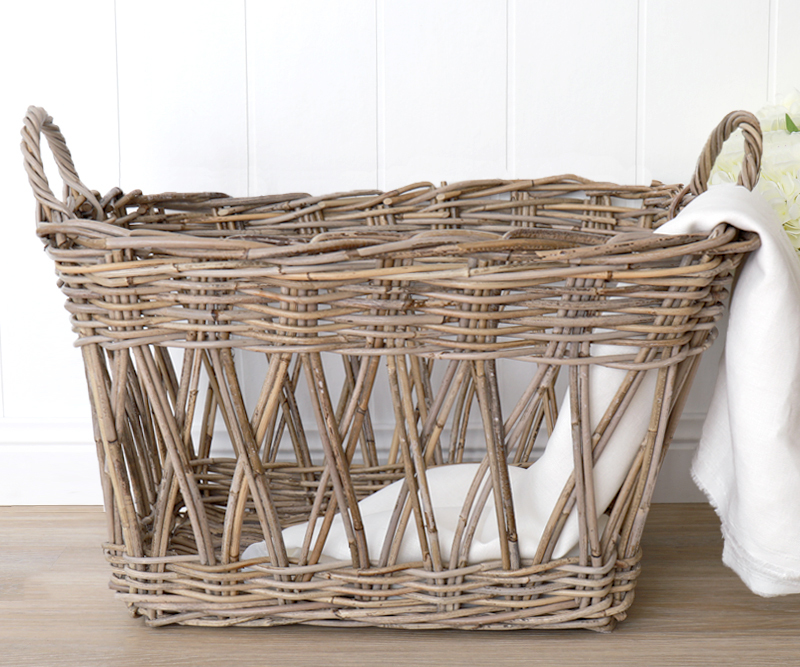 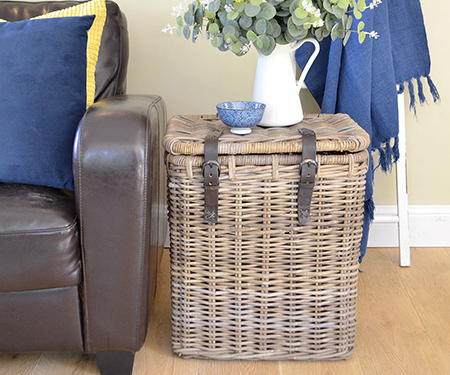 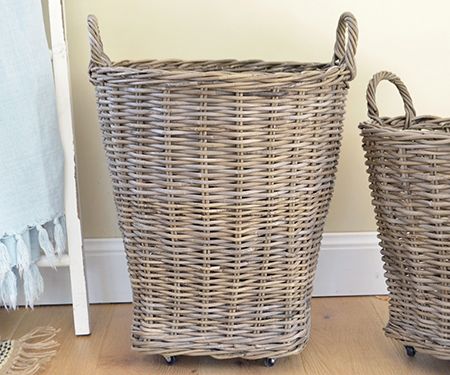 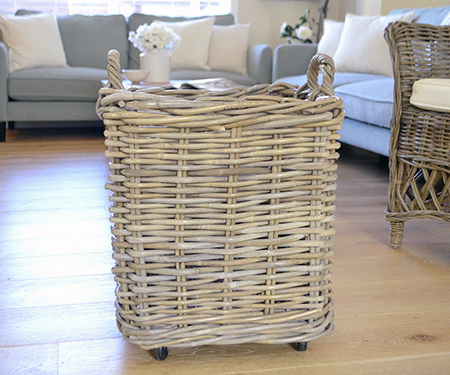 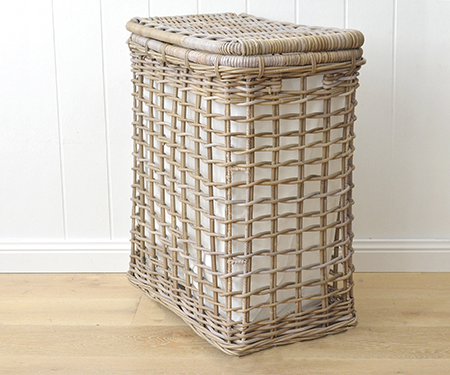 This baskets is also great for storing toys or throws in the living room or bedroom. 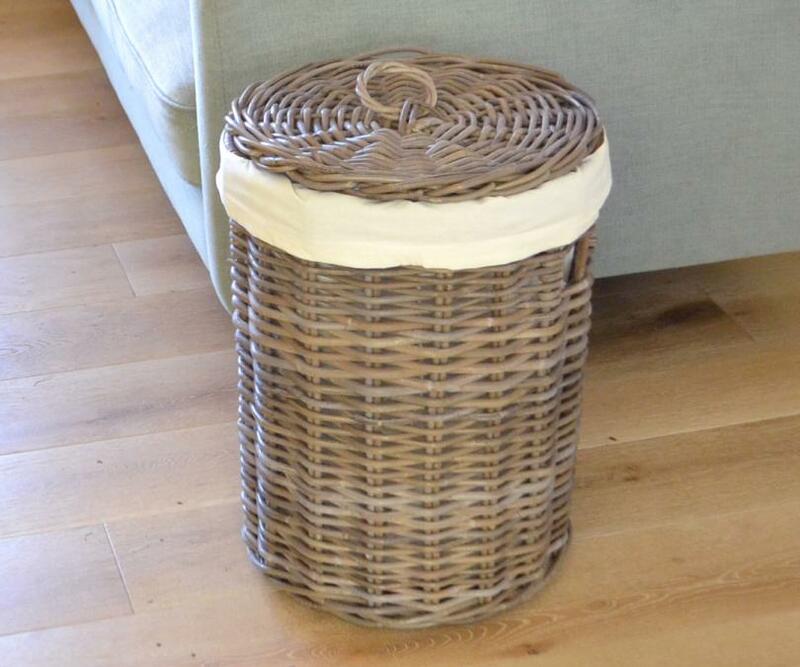 *Gift wrapping is not available on this item.